Are you a bit of a gear head? Oh... wait, we don't mean a car enthusiast. No, we're asking if you're a huge fan of Steampunk? If you are then you can never have enough gears, right? Right. So grab this Steampunk Bag of Gears and you'll be the most geared-out individual walking around this Halloween, or at any cosplay event you attend. All you need to do is glue or sew these handy accessories anywhere on your costume and you'll look like you just escaped from an alternate reality where steam is still the superior source of energy. 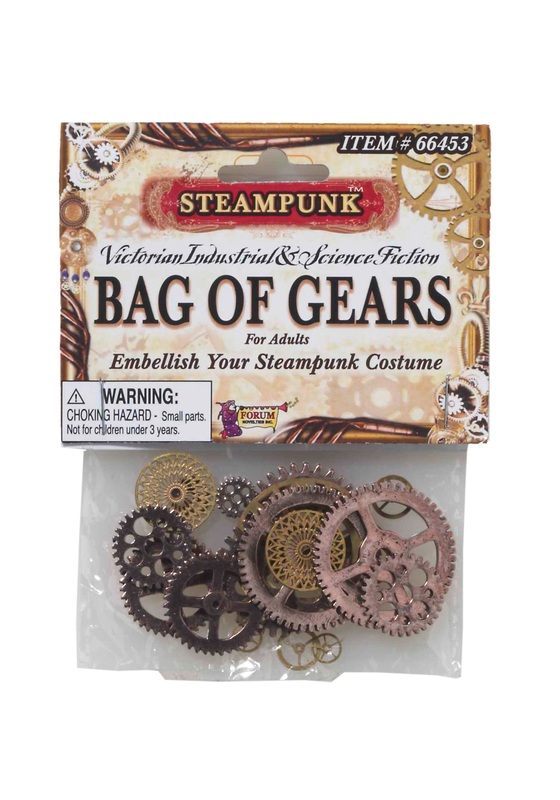 With a variety of colors and types of gears, you have the freedom to create numerous personalized clusters of these cogwheels to add so your Victorian ensembles. Show people a whole new side to science fiction this Halloween when you enter the party as the classiest gear head anyone has ever seen!